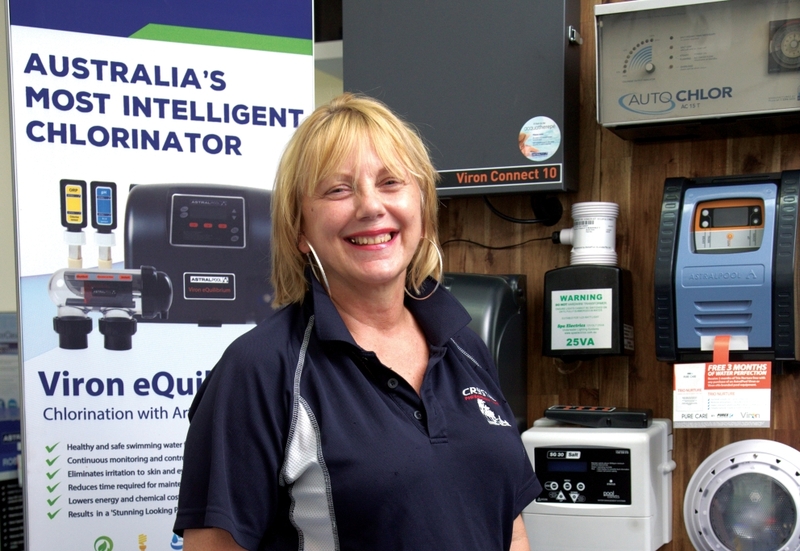 The pool industry isn’t what it used to be, and Crystal Pool Maintenance & Supplies in Coolalinga is evidence of that. Husband and wife Wendy and Russel have been in the business for 27 years, and their close family business has been at the forefront of technological changes and modernisation since. In the early days, the pair went out and cleaned pools themselves. As their workload increased, the Crystal team grew to seven. They eventually started a website, and now offer “vacation care” for customers living in the rural area and Palmerston when they go away. It’s a flourishing business with over 2000 clients, and Wendy and Russel are excited by the prospect of further growth. “We aim to deliver the best possible service for our customers,” says Wendy. The business has a strong reputation in the Territory and Australia, winning the Ultimate Experience Award at the Astral Pools Conference in 2014. They are loyal to their customers, and their customers loyal to them. Crystal Pool Maintenance & Supplies is able to service people in Katherine and other rural areas, and is looking to establish a regular courier to pick up water tests and deliver products. “We want it to expand down the track – to Adelaide River, Mount Bundy, Katherine and beyond,” explains Wendy. The team also has the capability to service resorts and the broader hospitality industry. “We are very proud of our achievements,” says Wendy. And so they should be.